Bienen junior Tina Zheng (left) and Weinberg junior Carlie Cope. The roommates are starting a chapter of the National Alliance on Mental Illness at Northwestern. 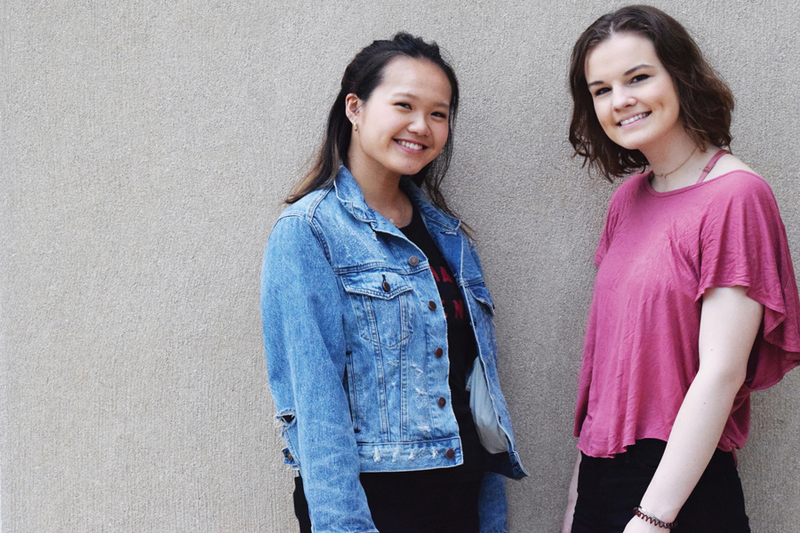 When roommates Carlie Cope and Tina Zheng noticed gaps in the mental health resources offered at Northwestern, they decided to tackle the problem head-on. The Weinberg and Bienen juniors, respectively, are now taking the first steps to bring a chapter of the National Alliance on Mental Illness to NU. With thousands of locations, NAMI is the country’s largest mental health advocacy organization, but is not widely known among college students, Cope said. On campus, Counseling and Psychological Services is the most well known mental health service. However, Zheng said CAPS is unable to accommodate everyone due to the sheer volume of students who need help. She added that she has spoken to students who have complained about the long waitlist for regular appointments, among other issues. Though the 12-session limit was eliminated in 2016, counseling is still based on what CAPS calls a “short-term model.” Data from 2016 show that CAPS only has one counselor per 845 students. CAPS staff said they would review interview requests but did not immediately comment. Zheng said she was motivated to start the NAMI chapter partially because of her own difficulty with the transition from high school to a stressful college environment. She said other students have told her they feel the same pressure. To combat this, the NAMI club will offer different services to fit students’ needs, including group counseling, peer-to-peer therapy sessions and access to outside resources that are currently unavailable or seem out of reach to students. The club will also offer a chance to connect with the local NAMI chapter in Skokie. NAMI is not the two roommates’ first foray into mental health advocacy. Zheng and Cope were co-directors of Wellness Coalition, a peer-run mental health group that formerly existed on campus, before deciding to start their own club. Zheng and Cope said NAMI’s existing network of resources has already helped them develop the NU chapter. Cope has known Christine Somervill, the program director at NAMI’s Cook County North Suburban chapter, since she began volunteering for the national organization last year. They started talking about collaborating in spring 2017. Somervill will help Cope and Zheng make connections in the wider NAMI network, as well as provide advice on how to run their own chapter. The programming, however, will be decided by Cope, Zheng and any other student participants; NAMI only provides resources and guidance, which Cope added are free of charge. Zheng said she hopes the NAMI club will survive after she and Cope graduate. Though the club is not yet officially recognized, Cope and Zheng said they plan to apply for recognition in October. Zheng and Cope said the NAMI club will host its first event, the Green Bandana Project, at The Rock on May 14. They will hand out bandanas and resource cards to students, and inform them about the services available through NAMI, Zheng said. She and Cope also plan to participate in the organization’s national 5K fundraiser in September. Rather than have the club be exclusive, Zheng said she wants NAMI to be open to the entire community.